Today, Apple has seen fit to release iOS 11.0.2 for your iPhone, iPad and the iPod Touch devices. The company has released quite a fair amount of updates in the last few weeks. 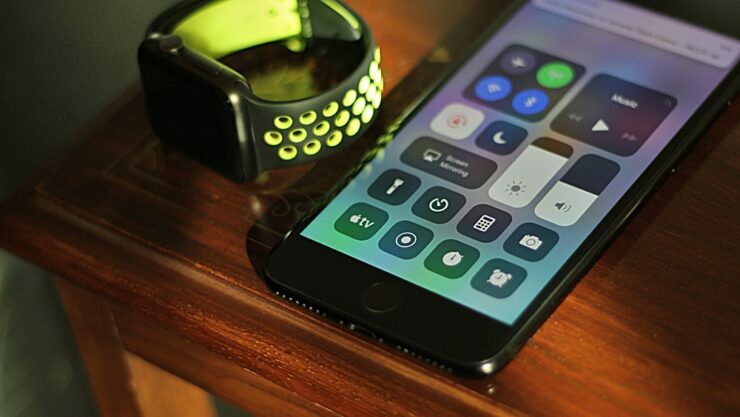 After the release of iOS 11, the company released iOS 11.0.1 to all iOS devices that fixed various issues within the recently released firmware. Now, the company has released yet another update that too fixes an important issue prevailing across various iPhone 8 models. So let’s dive in to see some more details on the subject. Today’s iOS 11.0.2 update comes with a specific fix oriented towards the iPhone 8 hardware. Several iPhone 8 owners were experiencing issues with call quality on their devices and reported that a crackling sound was heard. There are other fixes included as well, so do check them out as well. Apple acknowledged the issue and stated that an update will be released as early as possible. If you’re one of those who is experiencing issues on the iPhone 8, you should update as soon as possible to fix it. Once you install the latest iOS 11.0.2 update, you will experience that the issue is no longer present on your iPhone 8. 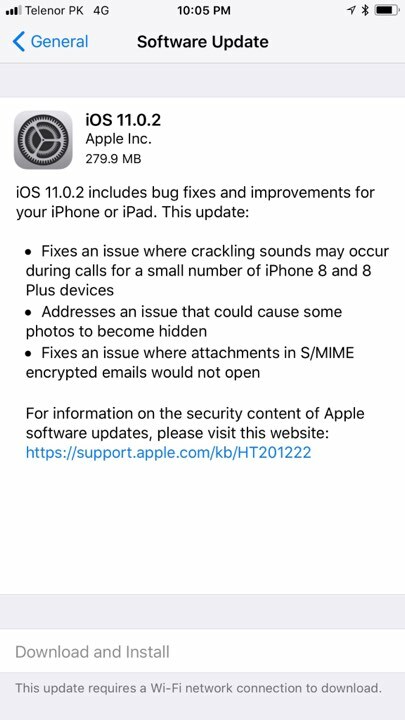 If you’re up for it, you can install the latest iOS 11.0.2 update on your supported iOS device via the OTA mechanism. Simply navigate to your iOS device’s stock Settings app and tap on General and then Software Update. Once you’re here, follow the steps provided to you and the installation process will begin shortly. However, if you’re not satisfied with this method, you can always fresh install iOS 11.0.2 on your compatible iPhone, iPad or the iPod Touch. To do that, you can download the relevant iOS 11.0.2 IPSW file for your device from the links provided to you below. These are all the related IPSW direct links for iOS 11.0.2 for your compatible iOS device. So be sure to download the one which is compatible with your iOS device. This is it for now, folks. What are your thoughts on Apple releasing iOS 11.0.2 to iPhone, iPad and iPod Touch users? Have you installed the new update? Did it solve the crackling noise issue on your iPhone 8? Share your views in the comments.